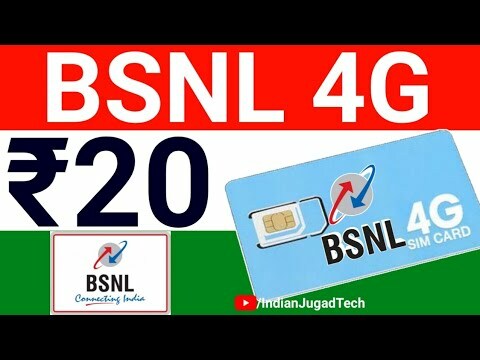 BSNL is planning to launch 4G services in Pan-India soon and Govt of India has once again stressed on the fact that state-run BSNL is crucial for Digital India’s success, despite being in severe loss due to the presence of other private telcos. BSNL user can visit any mobile store or BSNL office and get a new USIM for 4G services, by paying Rs 20. This new USIM would be able to catch BSNL’s new 4G network and elevate the user from 3G to 4G. Note here, that in 2009, when BSNL first launched 3G services, their new SIM was available for Rs 300. Now, the cost is just Rs 20.